A new documentary, “Ohero:kon – Under the Husk,” follows the journey of two Mohawk girls as they take part in their traditional passage rites to becoming Mohawk Women. Kaienkwinehtha and Kasennakohe are childhood friends from traditional families living in the Mohawk Community of Akwesasne that straddles the U.S./Canada border. They both take part in a four-year adolescent passage rites ceremony called oheró:kon “under the husk” that has been revived in their community. This ceremony challenges them spiritually, mentally, emotionally and physically. It shapes the women they become. The film had its world premiere at imagineNATIVE film festival in Toronto, Ontario, in October 2016. The producer/director, Katsitsionni Melissa Fox was honored with the Jane Glassco Award for Emerging Filmmaker. In addition, the film has been selected to several film festivals, including the American Indian Film Festival, the First Nations Film and Video Festival, LA SKINSFEST and REFRAME Film Festival. At LA SKINSFEST creative team members were excited to receive the “Achievement in Documentary Filmmaking Award.” In addition, the film screened at the Seneca Art and Culture Center and at the Annual PGMA Indian Art Market, as well as community screenings in the territories of Akwesasne and Onondaga. Women Make Movies will distribute the film with some shared video distribution with Vision Maker Media. 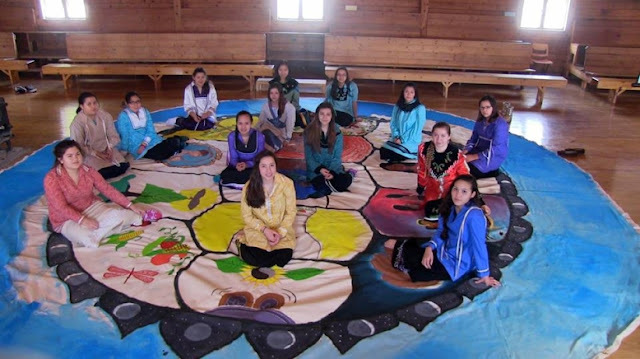 Responses to "Mohawk Coming-of-age Ceremony: The Sacred Path To Womanhood "